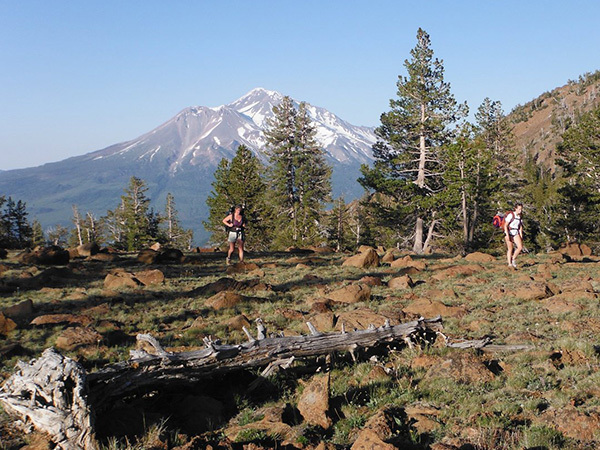 Mount Eddy is the highest summit of California's Klamath Mountains. The peak is named in honor of Olive Paddock Eddy, who in the 1880s became the first woman to climb this picture-perfect peak. Today, Mt. Eddy is popular with hikers and curious botanists: many endemic species thrive near the creeks and fens, and in midsummer, a range of butterfly species crowd the wildflowers. The lush plant life, scenic alpine lakes, and spectacular views of Mount Shasta and Castle Crags make this a perfect spot for a long day hike or backpacking adventure. In 2014, The Trust for Public Land helped the US Forest Service purchase the last remaining unprotected lands surrounding the peak, conserving more than 3,000 acres on its northern face and ensuring continued public access to popular trails—including portions of the Pacific Crest Trail and the Sisson-Callahan National Recreation Trail.